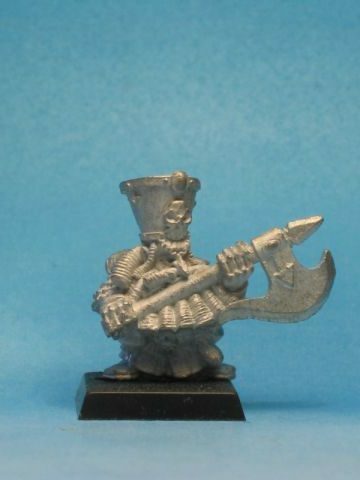 […] the mail order Chaos Dwarf Warrior A and Warrior B models were apparently to have been for use in the Chaos Dwarf expansion for Warhammer Quest but only saw limited release at the time Warhammer Quest was losing support from Games Workshop. 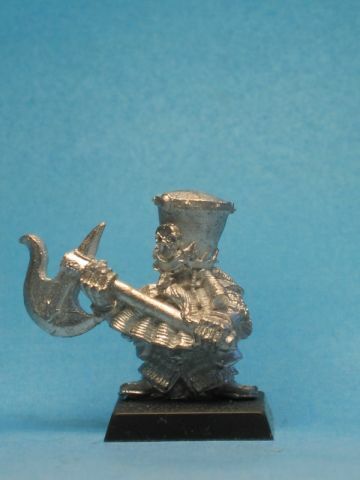 «Chaos Dwarfs in Warhammer Quest» en Chaos Dwarfs Wiki. Estos modelos aparecen por primera vez en la página 180 del Warhammer: 1997 Citadel Miniatures Catalog de los Estados Unidos. Están sin identificar. Al año siguiente, repiten del mismo modo en la página 54 del 1998 Complete Citadel Miniatures Catalog. The Complete Games Workshop Catalog and Hobby Reference 2004-05, Glen Burnie, Games Workshop, 2004.